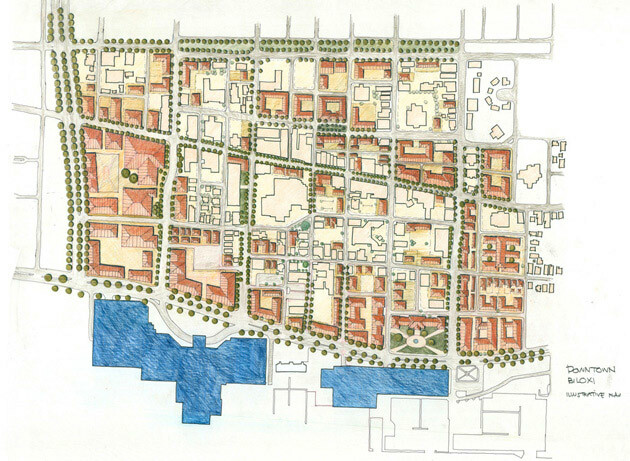 After the ravages of Hurricane Katrina, Moule & Polyzoides was invited to participate in a national charrette to provide emergency urban design services for the reconstruction of Biloxi. 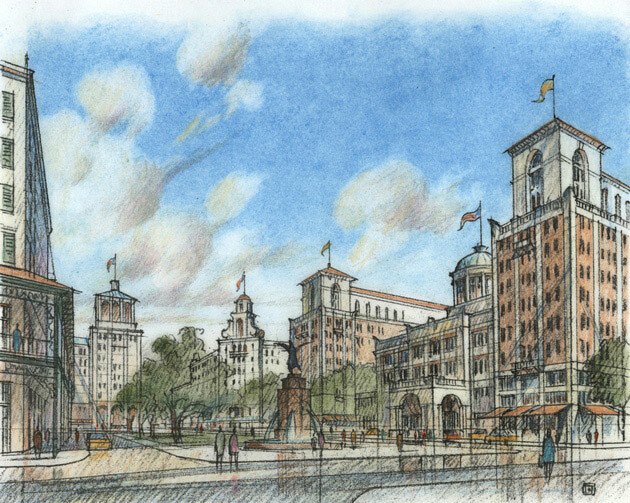 The plan establishes a locally inspired vision for regenerating the best of this historic place while repairing extensive post-1945 damage caused by suburban sprawl. It was generated over the course of one month through a series of discussions and a charrette that included the community, a multi-disciplinary team and ten other Gulf Coast communities. The strategy addresses the widespread post-hurricane devastation and the social, mobility, environmental and economic problems of the area. The effort focused on core issues such as preservation, traditional neighborhood reconstruction, downtown redevelopment, connectivity, walkability, infrastructure, codes and administration. 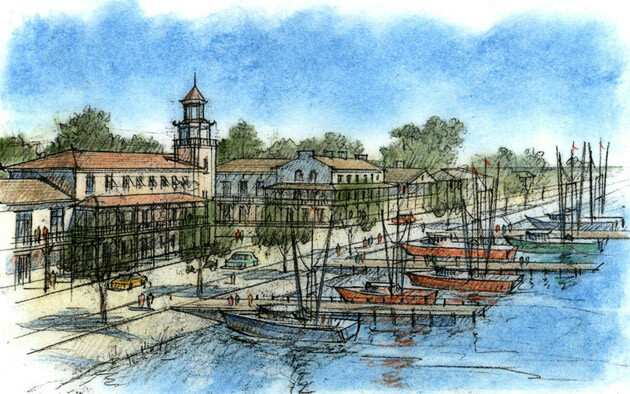 The Plan identified needs and proposed catalytic projects that will produce collateral development and positive activity throughout Biloxi.